A surge in manufacturing is having a positive impact on the pallet industry, especially those pallets made from wood. Experts believe that this growth could equate to a 4.9% rise by 2020, with wood pallets leading the way in this boom market. The pallet sector is experiencing a boom thanks to a thriving manufacturing sector, according to research released by ReportsnReports. A rise in manufacturing output is seeing a swell in demand for transport materials and exports, including the need for wood and Euro pallets. Experts reckon that the manufacturing sector is likely to enjoy increased growth over the next few years, fuelling a rise in demand for transportation materials. 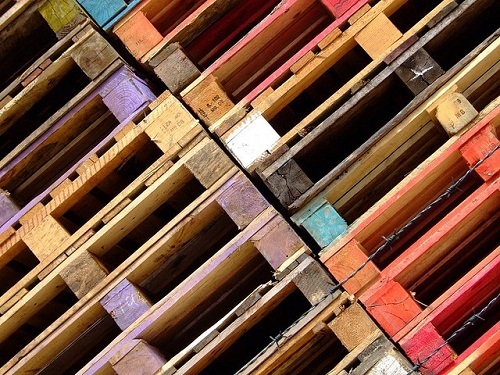 This is especially good news for the pallet market – in particular, those made from wood. Statistics reveal that manufacturing has picked up considerably during the last three years, and it is estimated to grow at 3.6% in 2016 and 2017. The rise in manufacturing growth and subsequent demand for wood pallets for transportation of goods is not just confined to one economic region. According to reports, the global pallet market is likely to see a CAGR of 4.90% during the next four years. Having said that, it is predicted that one area in particular is expected to dominate the global pallet market – the Americas. By 2020, this region could represent a huge 45% of the market share in the global pallet sector. Factors contributing to this expansion in the Americas include a rise in manufacturing and industrial output, export growth and a resurgence in the housing and construction sectors. On a global scale, experts believe that the pallet sector will experience a surge in growth from companies integrating vertically. Pallet companies will be able to reap the benefits from the upturn in the manufacturing sector, which is fuelling a rise in demand for their products. Meeting this demand is, however, proving to be something of a challenge for some pallet firms. The raw materials used for making pallets, such as lumber, are in short supply, which means that some companies are struggling to keep up with customer demand. One way that pallet manufacturers are overcoming this problem is by investing in their own saw mills and logging and integrating vertically with other companies to ensure they can meet demand and offer high-quality products at competitive prices. When it comes to the choice of pallets, wooden ones are still the most popular option for many manufacturers, accounting for 91% of the total market share last year. There are lots of reasons why wood dominates the pallet sector and is often the preferred choice for most customers, especially those in the food and beverage sectors and consumer goods markets. Pallets made from wood are cost-effective, durable and versatile. They are also widely available in various sizes and are easily customisable to suit individual needs.